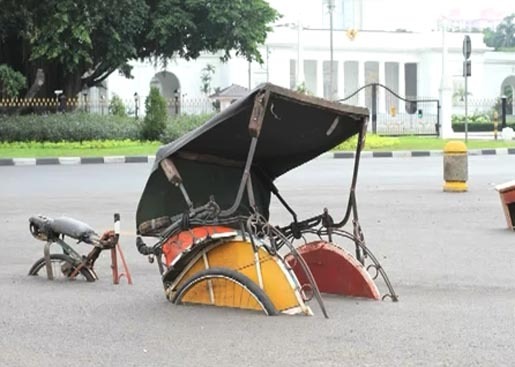 Jaringan Advokasi Tambang (JATAM), a mining advocacy network in Indonesia, recreated the Sidoarjo mud flow in an art installation directly in front of the Indonesian Presidential Palace, as part of the fourth anniversary of the controversial Lusi mud volcano eruption. 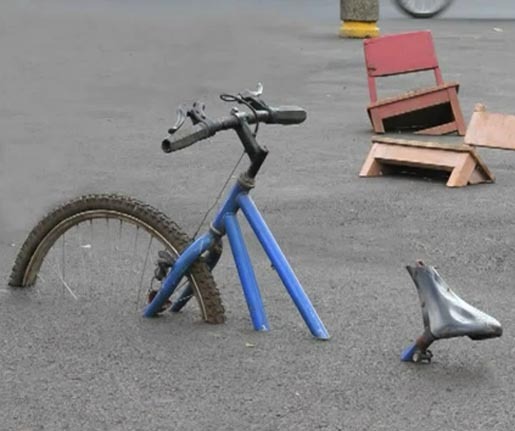 On May 29 2006 an earthquake, close to an active gas drilling site, triggered a mud volcano which submerged over 10,000 houses and public facilities. Visitors to the May 2010 installation saw what appeared to be buildings, furniture and vehicles submerged in mud, with the message, “Bangu korban Lapindo Sidoarjo bangun hidupnya kembali” (English translation: “Help the victims of Sidoarjo mud-flow to build their life back”). Actors took their place among the “ruins” to demonstrate the mudflow’s human impact. JATAM’s case was picked up by media coverage and gathered momentum through social media. 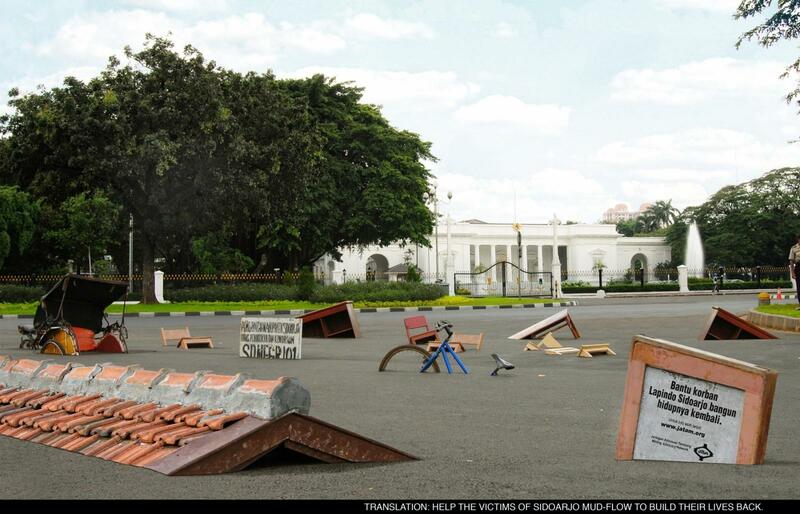 A few days later the Indonesian President flew to the site The campaign won Gold at the Spikes Asia Awards 2010 and a Silver Outdoor Lion at Cannes International Festival of Creativity. The Mud Flow campaign was developed at Publicis, Jakarta, by executive creative director Randy Rinaldi, creative director Maulana Sagala, art director/copywriter Randy Rinaldi, art directors Dimaz Muktiarto, Iswanda Mardio and Arius Budiman, copywriters Dono Yuniarto, Achsa Zenada and Maulana Sagala, account supervisor Maulana Sagala working with JATAM national coordinator Andrie S. Wijaya, producer/art buyer Maulana Sagala, illustrator Teguh Yuswanto, photographer Marco Widjaja and typographer Dimaz Muktiarto. See the Publicis case study on YouTube.